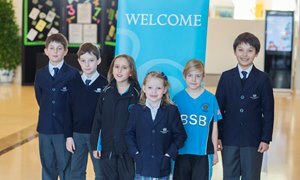 One of our outstanding graduates, Sumin Kang, tells us about her success at The British School of Beijing, Shunyi. Sumin achieved an outstanding IB Diploma result - a total score of 43 points out of a maximum of 45 points. 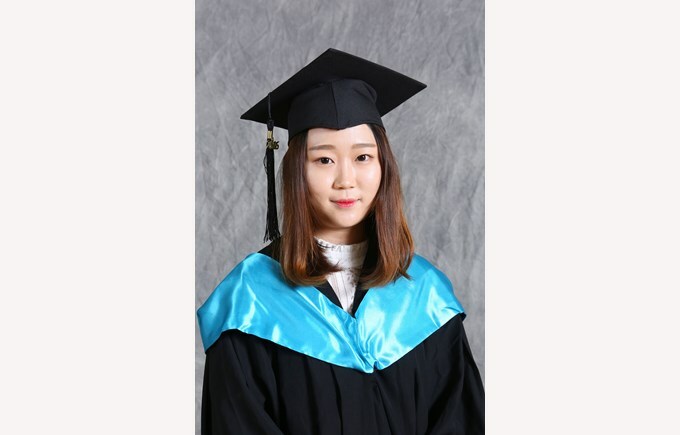 She has been admitted to study Journalism and Broadcasting at the Seoul National University, South Korea. Thank you for your huge support. It was an honour to study at BSB and I'm really proud as a BSB graduate! I feel proud of myself - graduation means the culmination of 4 years of hard work of completing both IGCSE and IB. I have been studying at BSB for more than 4 years and I feel sad that I am now leaving this school. Every experience was new to me and I really appreciated the opportunity to study in BSB, the Best School of Beijing! Graduating from BSB, I am now ready to step out to the greater world and I am excited and confident as I have received great support and help from this school. I first started as a Year 9 student. Everything was new to me. I was unfamiliar with English, with the teachers and students and school. However, everyone helped me out a lot. Fortunately, I received great GCSE exam results in Year 11 and achieved a total score of 43 points in my IB Diploma. I really thank and appreciate the experiences at BSB. Although there were difficulties times, I have developed and matured into a better person. The experiences at BSB in these past years were valuable and I will never forget the memories here. The best memory is when I went to Dubai to attend The World Scholars’ Cup together with the BSB Team. I felt the pressure as a representative but was also proud that our BSB team passed the Beijing Round and qualified for the Global Round. It was my first time to go to Dubai so I was really excited. The experiences at Dubai were really valuable. I met a lot of new students around the world and it was such a great opportunity. I did a lot of preparation for the World Scholars’ Cup and I think these experiences further developed me to be a globalised and open-minded person. I will never forget this memory and I really thank BSB for providing me with such a great opportunity. My experiences in International school made me see a broader world with students and teachers from different countries. I think communicating and interacting with multinational people helped me a lot in developing a broader perspective. My future dream is to be a global journalist and thus I think International schools prepare me better for the future. Moreover, I used to be an introvert. However, international school education taught me to speak in front of the audience and communicate with new people. Now I am no longer a shy person. I enjoy meeting new people. I believed my experience at BSB has prepared me better for a globalised future. I loved my all days in BSB Shunyi. Indeed the last two years of IB were challenging however, I could go through difficulties thanks to teachers and friends. Classes were enjoyable and times in the common room with friends were fun. In the beginning I was not fluent in English, but Ms. Burraston and EAL teachers were very supportive and friendly....they didn't give up on me. I was able to improve not only English but also a variety of knowledge in many areas. I had an opportunity to learn Korean literature at first and how to write a literary journals, which helped me to be certain about my major and career. When I was making up my mind in choosing my major, Ms. Kate Park's guidelines lit the way to where I definitely wanted to go. If it had not been for her strong support during the SNU application process, I wouldn't have gained the result. I gained a lot of experiences and life lessons while attending BSB and it still gives me inspiration in my life. I met great people there and I will never forget every moment in BSB.